In eighth grade I briefly owned a goldfish with a deflated eyeball sack. I know, he was pretty awesome. At night he’d swim around his tiny bowl and hit the side with his face. Vision was a little hard for Ralph with that droopy eyeball. He wasn’t long for this world, and after about a week in my lair, I offered his body to the porcelain Gods. Since I was a big fan of the little guy, I’ve decided to immortalize him here, both sacks re-inflated. I figure he’d want to look presentable to the blogging community, I know fame was always a big aspiration of Ralph’s. Surfing the blogosphere, one pumped eyesack at a time. Last July a tiny snail crawled it’s way out onto the wall of my living room from some lilies in the corner. He didn’t make it very far in the heat, and proceeded to either a) die on the wall, or b) take a nine month snooze. Yes, that is how long he has been on the wall, or had been until this morning-but I don’t want to get ahead of myself. I said he was tiny but I should have said nearly microscopic. This is important because I don’t want you thinking I would let giant snails continue to live on the wall of my apartment. He was quite cute, and since I wasn’t sure at first if he was dead or alive, I figured he could just hang out and avoid mingling with Parisian restaurants. I had no intention of initiating long-term scarring on the little guy. Sometimes I would forget he was there. About three days after I initially spotted him, I figured he was dead. Still, I decided he could stay. It’s Paris, he’s a snail. Seemed to fit somehow. I continued talking but quickly realized that my friend was gazing at me with a look generally reserved for the long pause before explaining reproduction to children. He was preparing a biology lecture, just not one involving snails. Mucus yes, snails-no. At first I didn’t believe him. How could Bob be a booger? My little Parisian friend? 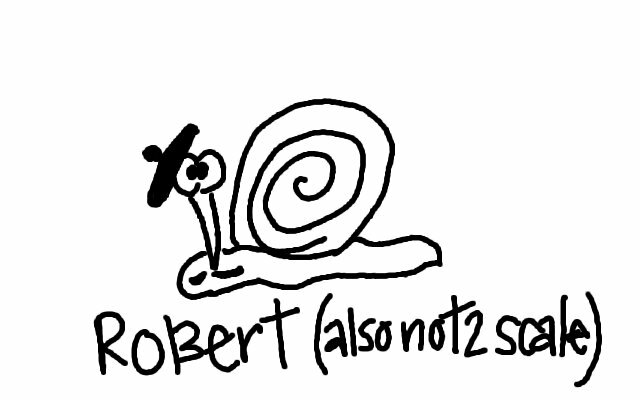 Robert? Not the mucus I had imagined, but a variety of that only far, far worse? And then I looked closer. 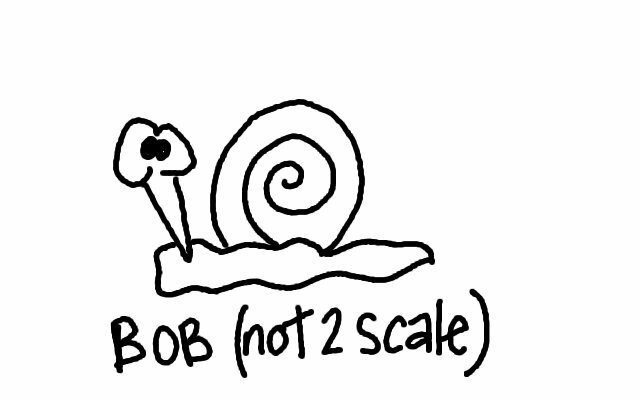 My cartoonish picture of Bob will never again include a small happy snail with wiggly eyes and a round shell. Now it will forever conjure images of whichever idiot stood in my living room and chose to pick their nose, then flick the findings onto my wall. You’ll remember that I utilized the adjective cute in the description of a booger. A booger. This dear readers, is truly the life of the unemployed. Next time I think there’s a snail, I’m grabbing a sponge and re-evaluating the company I keep.